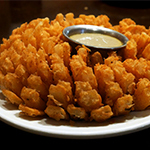 A hand-battered sweet onion rosette deep fried to crispy perfection. A house favorite served with our vibrant chili sauce. 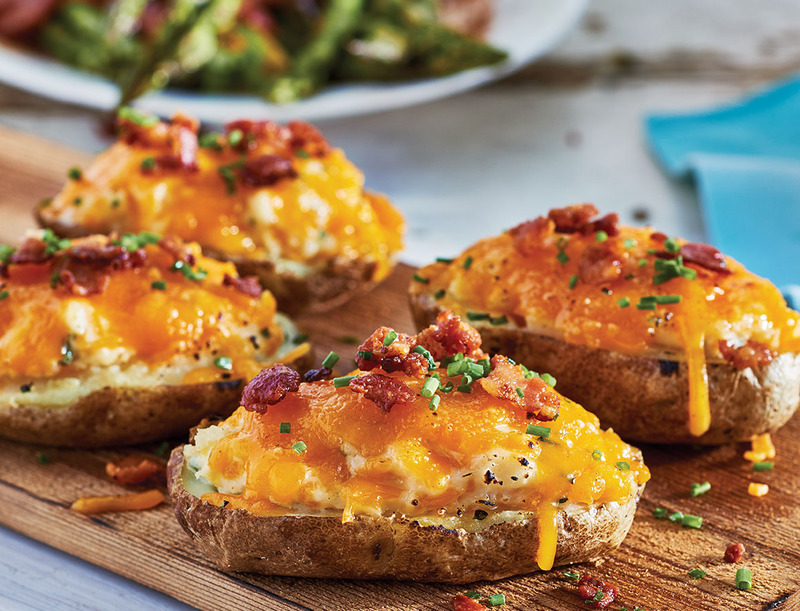 8 Piping hot potato skins served with melted cheese. green onion, jalapeno, topped with bacon and served with a side of sour cream. 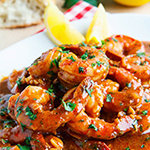 Six generously sized shrimp sautéed in Cajun spices and served on toasted bread. 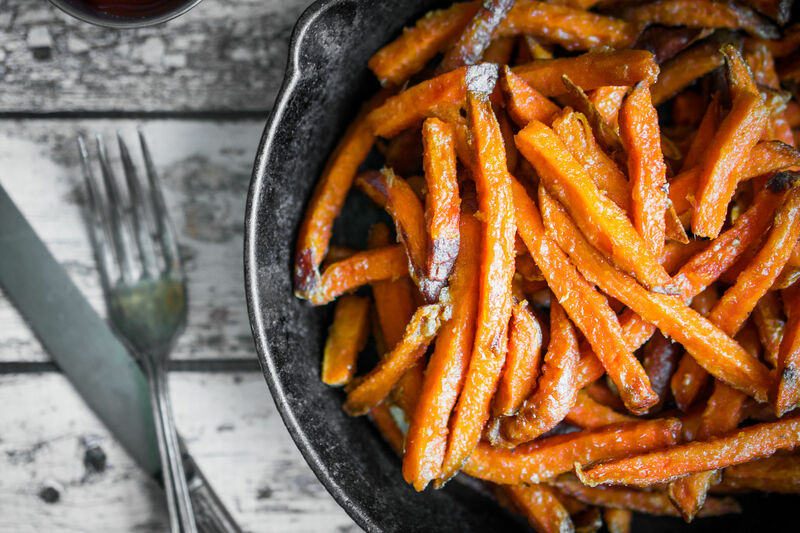 A Texas sized portion of our crispy Sweet Potatoes. 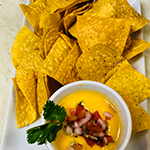 Our own creamy melted cheese blend melded with green chili and pico de gallo and served warm with our homemade tortilla chips. So good! Our Texas take on a Buffalo classic! 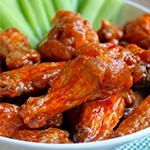 Flavorful chicken wings fried tender and brushed with spicy Buffalo sauce. Served with ranch dressing. 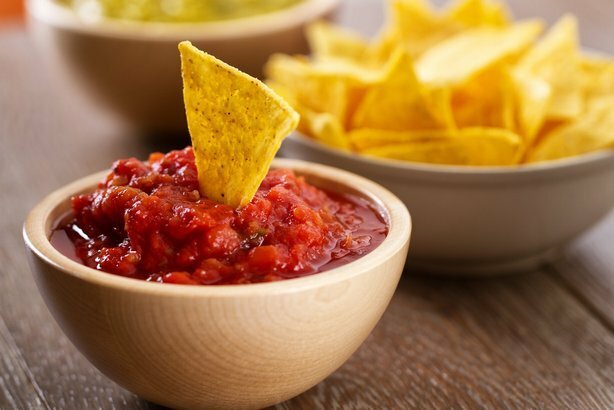 Our homemade salsa made with fresh onion, green chili, tomatoes, cilantro, lime, served with our homemade tortilla chips. 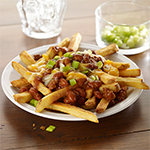 Home-style golden fries topped with chili and velvety-smooth queso. 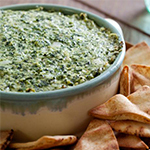 Fresh garden spinach melded with Monterey Jack cheese, fresh garlic and Texas spices served with our homemade tortilla chips. 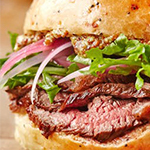 Tender, marinated strips of all breast meat, extra crispy outside and extra juicy inside. Pick 3 apps to share with the whole party. 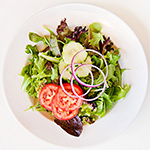 Fresh crisp greens with tomato, cucumbers, shredded cheese and your choice of house- made dressings. 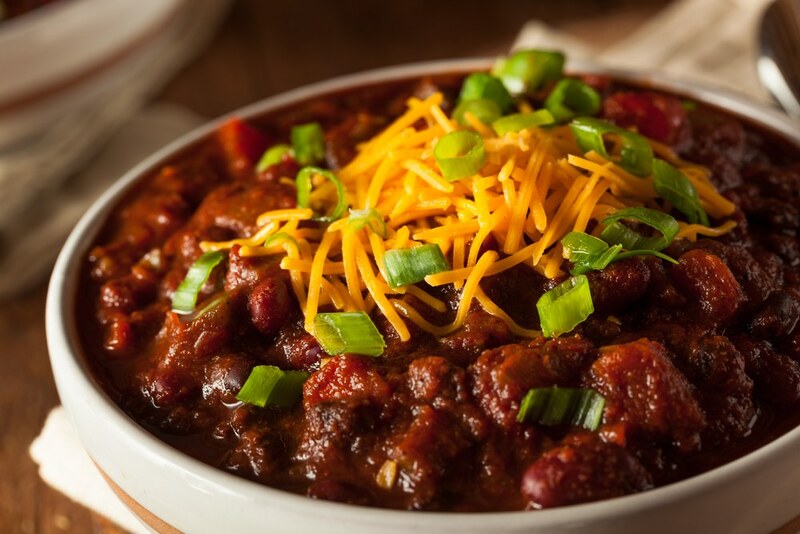 Our original homemade chili, filled with beef, onions & signature blend of spices. Topped with shredded cheese & tortilla strips. $4.49 CUP 5.99 BOWL. 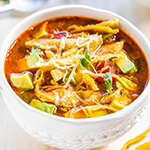 A southwest original made with pulled smoked chipotle chicken and served with crunchy tortilla strips and bold Monterey Jack cheese. $4.49 CUP 5.99 BOWL. 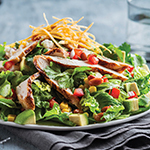 Sliced flame-grilled chicken breast on a bed of crispy greens with tender sweet corn, pinto beans, zesty pico de gallo, fresh cheese, and homemade tortilla chips. With your choice of our own house-made dressings. 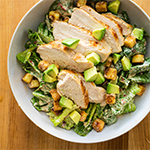 Flame-grilled chicken breast sliced over fresh crisp greens with a harmonious Caesar or spicy Caesar dressing. 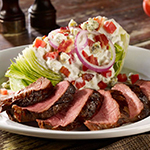 Flame-grilled sirloin strips moseyed up to a crisp iceberg lettuce wedge served with aged bleu cheese and bacon crumbles, red onion, tomato, and bleu cheese dressing. 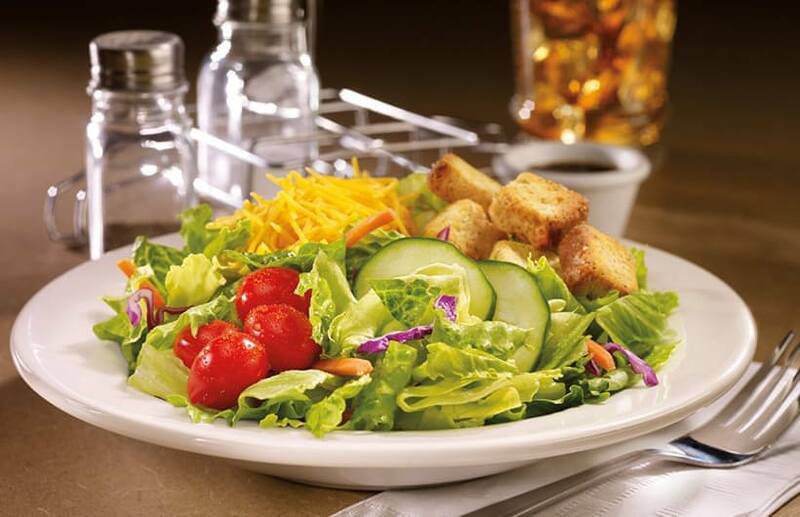 We've made this robust farm fresh salad a Texas star. 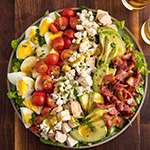 Loaded with bacon, flame-grilled chicken, hard boiled eggs, tomatoes, crumbled aged bleu cheese and your choice of our house-made dressings. 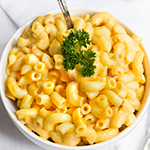 A four cheese oven-baked crock of creamy macaroni & cheese homemade with fresh dairy cheese. 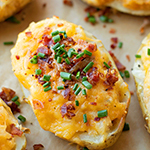 A piping-hot Idaho potato with real creamery butter and sour cream. 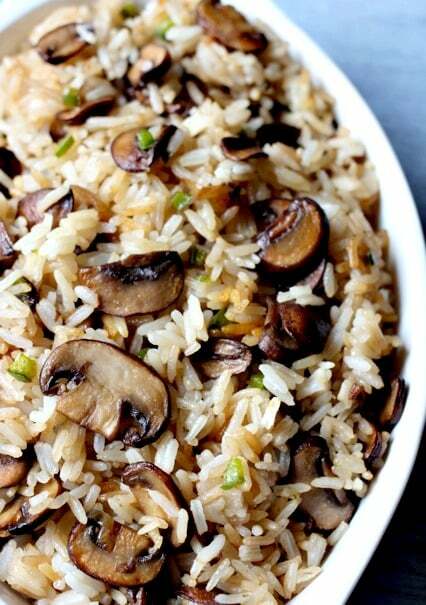 Our signature long grain rice, infused with sauteed mushrooms. 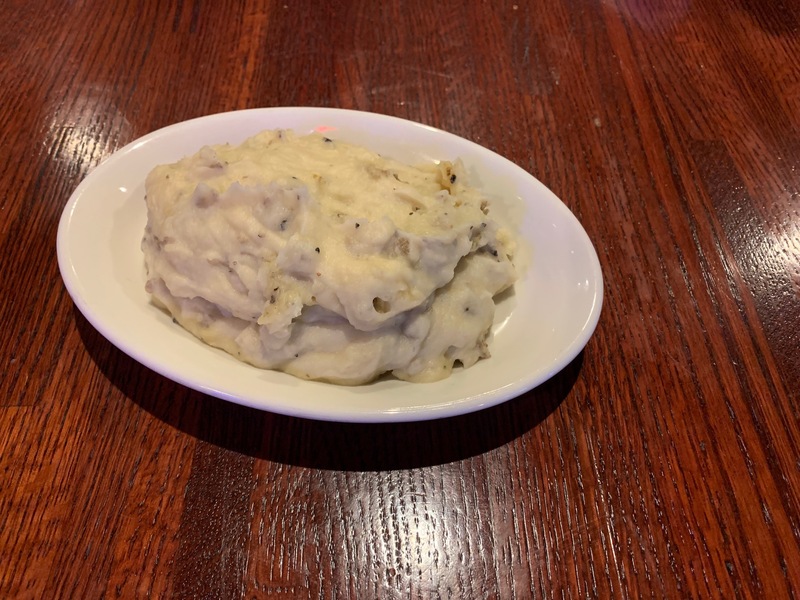 Idaho potatoes mashed with real creamery butter, sea salt, ground pepper and dairy-fresh cream. 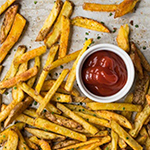 A hearty helping of our famous crispy golden Texas fries. 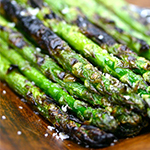 Tender grilled garden-fresh asparagus spears dressed with a delicate Hollandaise sauce. 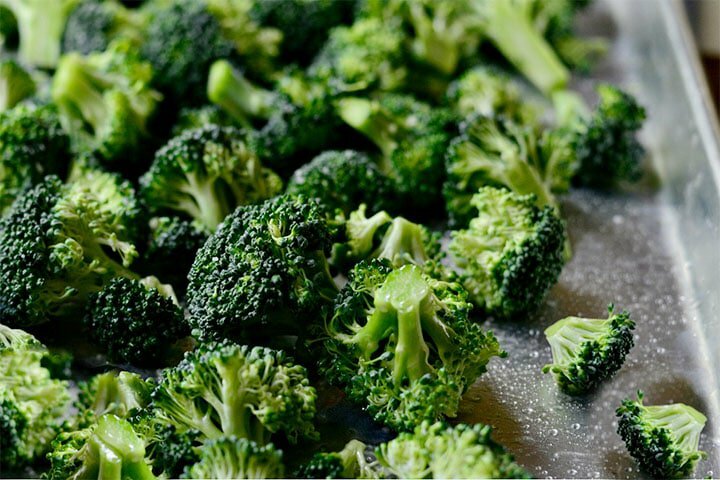 Fresh crisp greens with tomato, shredded cheese and your choice of house-made dressings. 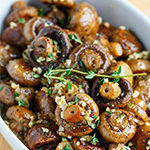 A savory portion of tender mushrooms sautéed in fresh real butter. 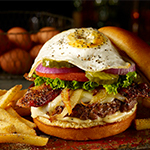 We'll grill your quality fresh ground steak burger just how you like it, saddle it up with tomato, pickles, lettuce and any one topper from the Texas Land Fixin's corral. Served with golden Texas fries. 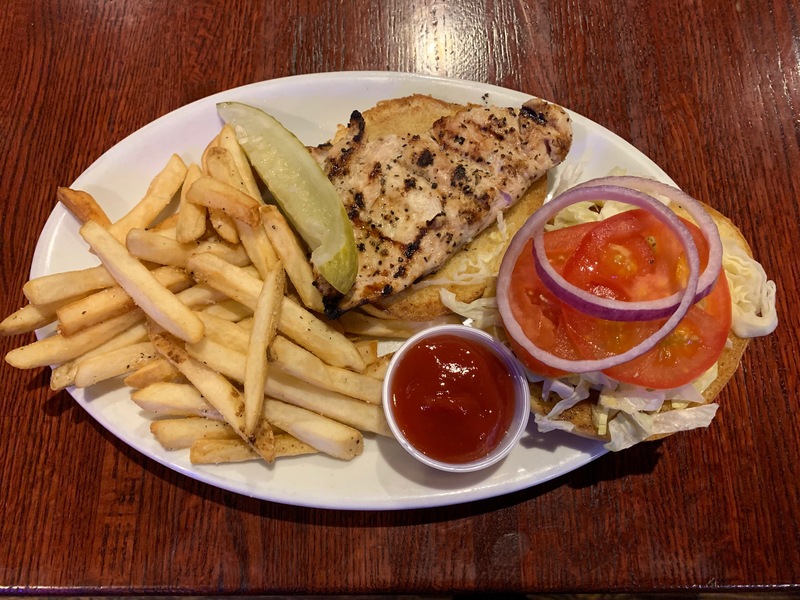 Naturally succulent chicken breast flame-grilled just right with honey mustard, tomatoes, pickles, and crisp lettuce. Served on fresh toasted bread with your choice of any one topper from the Fixin's corral. Served with golden Texas fries. Our finest sirloin encrusted in a seasoned peppercorn rub, slow-smoked for exquisite tenderness and sliced thin, topped with melted fresh Monterey Jack cheese, horseradish sauce and served on a toasted roll. Served with golden Texas fries. Our Texas sized 20 oz. Ribeye with the authentic beefy flavor of a select bone-in steak. Superb taste and our finest quality. 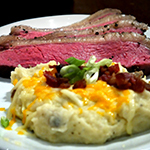 Served with Texas mashed potatoes and seasonal mixed vegetables. This juicy and succulent 12 oz. 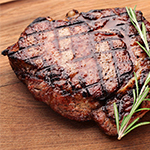 ribeye is one of our master cuts of marbled beef, perfectly seared to your specifications. Sublimely tender and satisfying. 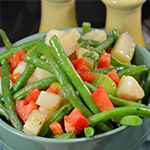 Served with Texas mashed potatoes and seasonal mixed vegetables. Beautifully marbled 12 oz. hand-cut strip with rich beefy flavor. 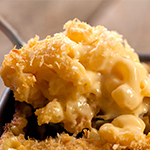 This Broadway favorite is a tantalizing Texas star. Served with Texas mashed potatoes and seasonal mixed vegetables. 9 oz. 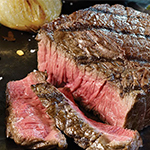 of tender, flavorful and naturally lean premier sirloin seared to irresistibly juicy perfection. Served with Texas mashed potatoes and seasonal mixed vegetables. 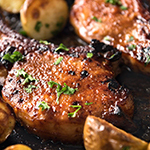 Our juicy- tender and enticingly flavorful 8 oz. petite steak masterfully grilled. A down- home delicious original. Served with Texas mashed potatoes and seasonal mixed vegetables. 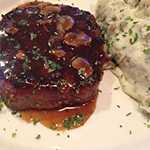 Texans savor a good chopped steak and this robust 10 oz. 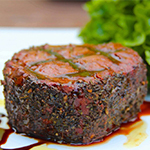 ground chuck cutlet lavished with grilled mushrooms and pepper brown gravy provides sizzling satisfaction. Served with Texas mashed potatoes and seasonal mixed vegetables. 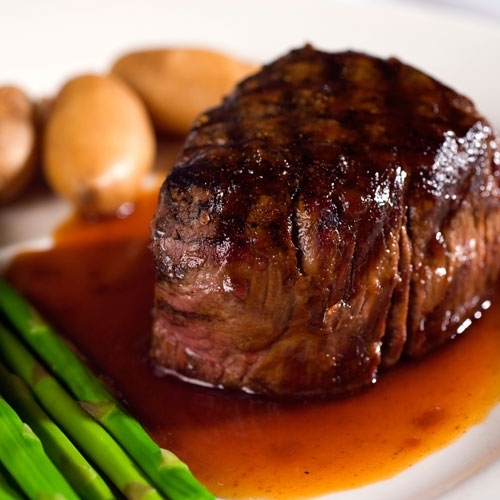 Skillfully cut to include both filet and strip, this superb 18 oz. 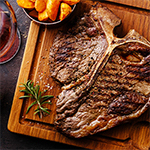 steak delivers hearty bone-in flavor and succulent tenderness. Served with Texas mashed potatoes and seasonal mixed vegetables. 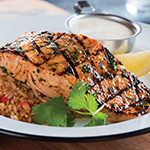 Bathed in a vibrant infusion of seasonings, this marinated salmon filet is delicately flame-grilled and served with rich Bayou aioli. A tantalizing taste of the sea. Served with Texas mashed potatoes and seasonal mixed vegetables. Our 10 oz. 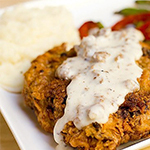 hand-battered chopped steak cutlet deep fried to a tender golden brown and smothered in home-style pepper cream gravy. The satisfying taste of southern hospitality. Served with Texas mashed potatoes and seasonal mixed vegetables. 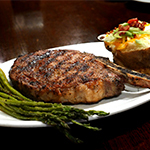 A hearty thick 12 oz bone-in pork loin chop, flame-grilled for distinctively rich flavor and sizzling juiciness. Served with Texas mashed potatoes and seasonal mixed vegetables. 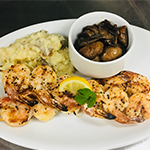 Two full skewers of generously-sized savory shrimp, impeccably grilled and served with rendered garlic butter. Our decadent pleasure. Served with Texas mashed potatoes and seasonal mixed vegetables. 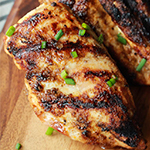 Two market-fresh deboned chicken breasts, seasoned and grilled for exceptional flavor and juiciness, brushed with a lively pico de gallo. Served with Texas mashed potatoes and seasonal mixed vegetables. 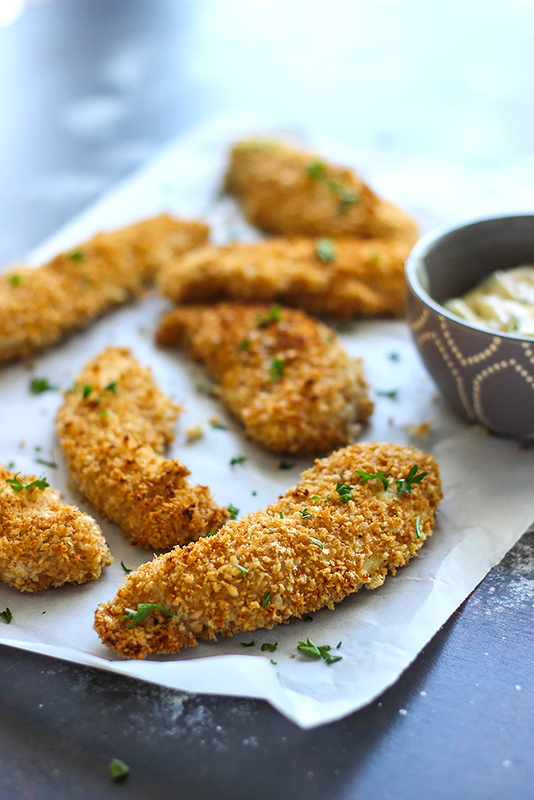 Market-fresh deboned chicken breast deep fried to a tender golden brown and smothered in home-style pepper cream gravy. The satisfying taste of southern hospitality. 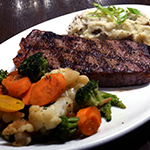 Served with Texas mashed potatoes and seasonal mixed vegetables. 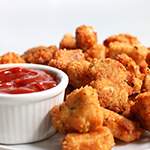 Crispy golden chicken nuggets served with Texas fries and naturally sweet applesauce. 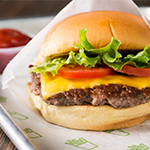 A kid’s-size premium burger on a fresh wholesome bun served with Texas fires and naturally sweet applesauce. 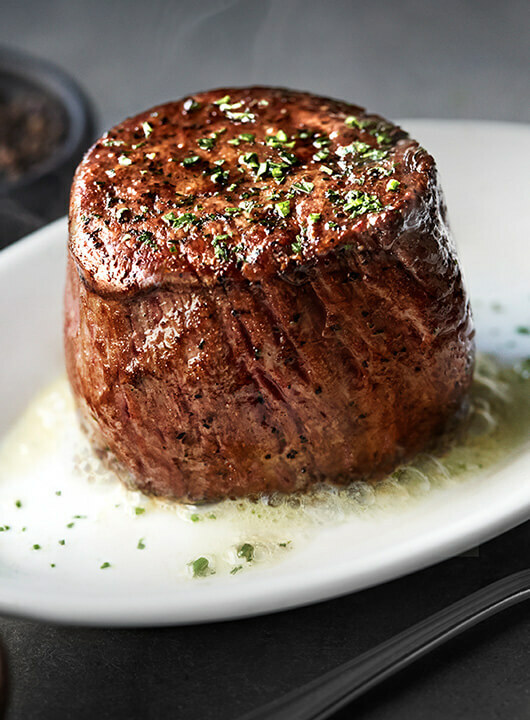 A kid’s-size 6oz sirloin steak cooked to perfection.